Why do I get headaches during intense exercise? Posted July 19th, 2009 by Greg Crawford. Comments Off on Why do I get headaches during intense exercise?. I know there are many times where you are either lifting weights, taking a class, or doing your own cardiovascular workout like running, where all of a sudden you get this sharp pounding headache. So in this article I’m going to talk about why we might get headaches during exercise and what steps we can take to avoid them. Nociceptors (the ends of the pain-sensitive nerves) are stimulated by stress, muscular tension, dilated blood vessels, and other headache triggers, and send a message to the nerve cells in the brain, signaling that a part of the body hurts. Headaches typically target six main areas. These areas are the muscles of the face and head, the blood vessels at the base of the brain, and the nerves of the scalp, throat, face and mouth. Each affected area has a high number of pain receptors in the immediate vicinity. Different chemicals help transmit pain-related information to the brain, including endorphins – natural painkilling proteins. It has been suggested that people who suffer from severe headaches, or other chronic pain, have lower levels of endorphins than people who are generally pain-free. -If you think your drinking enough water…try drinking more! Cause chances are it’s not enough. Don’t just drink during exercise, drink before and after to prepare your body for rigorous work. -Do not add salt! Train your taste buds to enjoy the food and not the salt!! 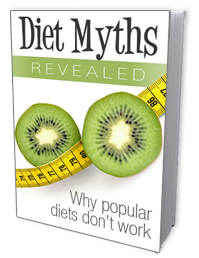 – With today’s modern diet, chances are your body is imbalanced or deficient in certain nutrients. Take a multivitamin and multi mineral as an insurance policy. Capsule form is the best because they are more easily absorbed by your body. – Before beginning intense exercise, warm up really well and listen to some motivational music. – Focus on your breathing and meditate first for a few minutes. De-stress yourself before you stress yourself!! – Try to get more sleep!! At least 7-8 hours a night. – Stretch at the end of every workout. This will improve flexibility, which will improve blood flow and recovery, which may alive vascular dilation in the head. – Try Yoga…Great for flexibility, breathing, and meditation. Hopefully this knowledge will help alleviate those painful headaches. If headaches do continue after taking all necessary steps than I would advise you to seek a professional and ask your doctor to look into this further. Filed under: Pain during exercise. Tagged as: dehydration, endorphins, headaches, intense exercise. Posted July 13th, 2009 by Greg Crawford. Comments Off on Why Cardio Doesn’t Work for Fat Loss. tried it knows, the practicality of it just doesn’t add up. British researchers wanted to get more insight into this paradox, and studied 35 overweight men and women, who weren’t previously exercising. exercise, but it helped the subjects lose an average of 8.2 pounds, which is great – I was positively surprised by the results. Therefore, the Compensators lost the least amount of weight, and scientists believe that was due to the huge “compensatory” increase in appetite experienced by this group. Filed under: Workouts. Tagged as: appetite, cardio, cardio increases appetite, fat loss, interval training, weight loss. Adopt a healthy,fun,and fit lifestyle! Posted July 8th, 2009 by Greg Crawford. Comments (3). Welcome to my first official blog and launch of the new “It’s a Lifestyle” website. This site was designed in order to position you to achieve your fitness and lifestyle goals by giving all the tools and resources available to improve the quality of your life. Because we all want to be happy right? I like to define our lifestyle as your time + the environment where you spend your time. So a healthy and happy lifestyle is a balanced use of your time in a healthy and fun environment which enables you to achieve your goals. – This is the hardest part. You have to act like Nike and “just do it”! Don’t think of all the reasons why you can’t do it, figure out the reasons you can do it. Do not wait a day longer and like other important things in your life take action. – Sit down and talk to a fitness professional, meet with a nutritionist, and try to surround yourself with positive people. – It might be simple things like the first time you could actually wrap the smaller bath towel around yourself and actually tuck it. Or going from 3 push ups to doing 20. Invest in a good day planner and get organized! Schedule your meals and workouts around your busy schedule. Make and keep appointments with the professionals that can help you achieve your goals. Don’t try and spend hours and hours in the gym just to burn calories. Don’t do more, do it better. Do at least 2-3 days of strength training. – For every pound of muscle you’re burning 50-60 more calories a day at rest. – It’s empowering to feel strong and your body will feel tighter and more firm. Perform interval training for your cardiovascular exercises. – Changing intensity levels from high to low intensities will keep you engaged and allow you to burn more calories throughout the day. Walking at a good pace on an incline for 35-45 minutes is probably the best and lowest impact form of fat burning cardio work, especially for beginners. – As you get more conditioned, make sure to progress your cardio workouts every 6-8 weeks by increasing speed or incline %. Pick a day where you do something fun and different as a workout to keep you motivated and will enjoy. Make sure you stretch at the end of every workout. – You haven’t eaten all night so you need to kick start your day with fuel and nutrients. – Eat a small portion of carbohydrates like a bowl of oatmeal or an orange with a protein like eggs or a high protein cereal with some low fat organic milk. Have a protein shake with a small amount of carbs in it after your workout. – Within 30 minutes of a workout is the most crucial time to put these nutrients into your body to start the recovery process of what you just worked. Your body is like a sponge so you will not get fat but use these important nutrients. Do not go more than 3 hours without eating something small or putting something of value into your body. – This will keep your metabolism moving and keep your body from thinking its starving thus storing fat for survival. – Too many times we eat strictly for pleasure. Think about eating so that your body is supplied to perform well during exercise and recover when broken down with the right balance of proteins, carbohydrates, and fats. Eat fruits and vegetables when you can and stay away from processed and refined foods that not only add no nutritional value but also drain you of the nutrients in your body used to digest, recover, and repair. Now let’s help each other out! I need all my reader’s to comment on this blog and give me one topic or question you want answered to help you achieve a better life of health and fitness. I will take the top 5 topics/questions and research,write ,and post in upcoming blogs. Can’t wait to see this! Filed under: Healthy lifestyle. Tagged as: fitness, fun, healthy, lifestyle. Posted June 10th, 2009 by Greg Crawford. Comments Off on Hello world!. Content © Its a Lifestyle. Proudly powered by WordPress. Valid XHTML, Valid CSS.